The protection of the heritage of Bathurst, Australia’s first inland European settlement, is fundamentally important. 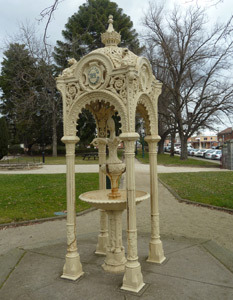 The heritage assets are fundamental to the economy of Bathurst as a tourism asset. It is Bathurst’s heritage buildings and streetscapes together with its prominence in motor sport which together differentiate it from all other towns in Australia. Heritage is a key element of our sense of place. Built heritage describes our origins and informs our understandings of who we are today. It helps to define a sense of place, an identity for a community. It can contribute to feelings of connectedness, and community pride and confidence. 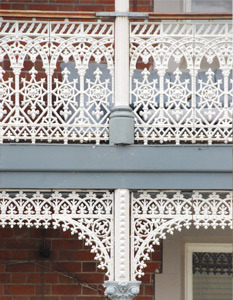 The built heritage environment contributes significantly to the attraction of Bathurst as a place to live and work. Bathurst’s uniqueness and individuality is identified in the Bathurst 2036 Plan . “To protect the region’s unique heritage and history. Preservation and enhancement of the Region’s built and natural heritage. Community’s pride in the region’s heritage and history is enhanced. Community’s sense of place is maintained and enhanced. An improved balance between new development and maintenance of heritage is achieved. Reduction in building waste and an increase in building reuse. A key strategy to achieve these outcomes is the development and implementation of a Heritage Strategy for the Bathurst Region. Bathurst Regional Council recently released its updated Heritage Strategy following consultation with the community and it is available on their website at http://static.bathurst.nsw.gov.au/images/stories/heritage/Heritage%20Strategy%202014.pdf . Bathurst still has listed and unlisted heritage building stock which in its scale and uniqueness would be the envy of every other inland town in NSW despite years of degradation. It’s not too late. Council does good work in many aspects of its heritage management and it must continue to strive to prevent the demolition of our built heritage in order to maintain the streetscapes in the Conservation Area. A significant number of people in the Bathurst community are concerned about the ongoing loss of heritage buildings in the Urban Conservation Area. The National Trust of NSW Bathurst Branch is a voluntary organisation of citizens who are active in wanting to retain the integrity of our built heritage as Bathurst grows and develops. They believe that heritage and development are not mutually exclusive and that there are many opportunities for development in Bathurst without destroying irreplaceable built heritage. They are committed to collaboration, consultation and a constructive approach in resolving the tension which may occur between retaining heritage and development. The community can only achieve its goals by working with Council and other planning authorities. Heritage can be found in the form of buildings from the 20th century as well as the 19th century, and in time from the 21st century as well – it is not just the very old buildings which have heritage credentials. New buildings with high quality design will become tomorrow’s heritage assets. sympathetic bulk, scale and setback. I came to live in Bathurst many years ago for the simple fact we have the oldest inland city with moststreets lined with original historical buildings. Its tourist potential cannot be recreated elsewhere. If these buildings were in Sydney, they would have been snapped up and be worth $millions. Keppel St is a sought after trendy location. I am a newcomer to Bathurst and came here because of the Heritage buildings and nice streetscapes which helps gives the area a great quality of life.Sadly in the few years I’ve been here there has been a lot of demolition going on. I settled in a town where I believed the council was serious about heritage….what a joke. Large numbers of tourists come into Bathurst because they like the heritage buildings and those tourists spend lots of dollars in town, Wake up councillors and residents, preserve your heritage and streetscapes, they are what tourists come to see not concrete replicas. The Bathurst Branch of the National Trust (NSW) in association with Bathurst Regional Council is reestablishing the Heritage Awards and Recognition Program.